This week has been horrendously busy, I mean REALLY REALLY busy. I am the worlds best procrastinator seriously. I have been making at least 2-3 recipes a day for blog post and ALL of them have had to have a specific theme or ingredient. I became so overwhelmed I did not even think about Mother’s Day this Sunday. Oh that means I am in charge of Mother’s Day dessert. Do you think I even had time to think about what I might want to make? That would be NO! The only way to have Mother’s Day made easy is to let someone else make dessert! Cold Stone Creamery to the rescue. 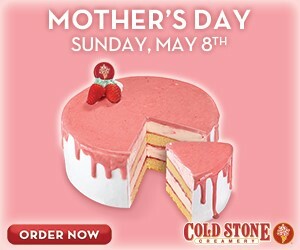 I was so excited to see an amazing Mother’s Day Cold Stone Creamery Cake the Strawberry Splendor™, featuring layers of moist Yellow Cake and Sweet Cream Ice Cream with Strawberry Puree wrapped in fluffy White Frosting and cascading Strawberry Glaze. 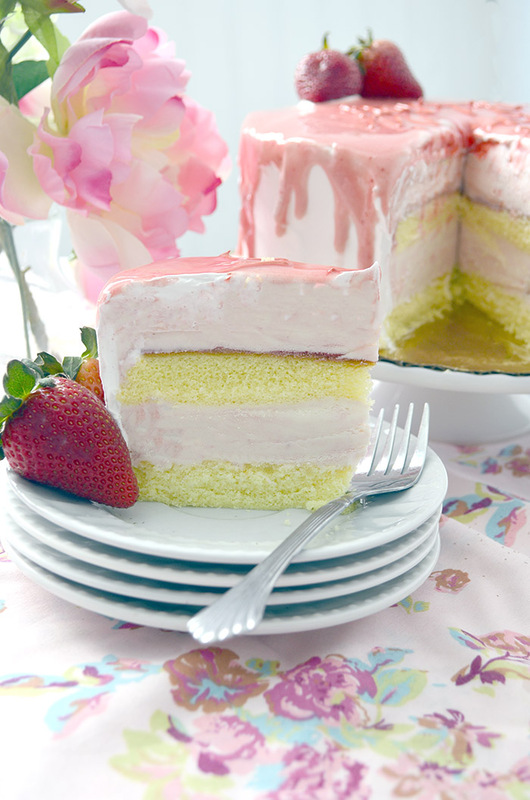 I love strawberries and this cake knocks it out of the park! I gotta tell you my life just got a little easier! All I did was order the cake online and pick it up the next day! One thing about this cake is you can order it in two sizes, a six inch cake which serves 6-8, and an eight inch cake that can serve up to 12. 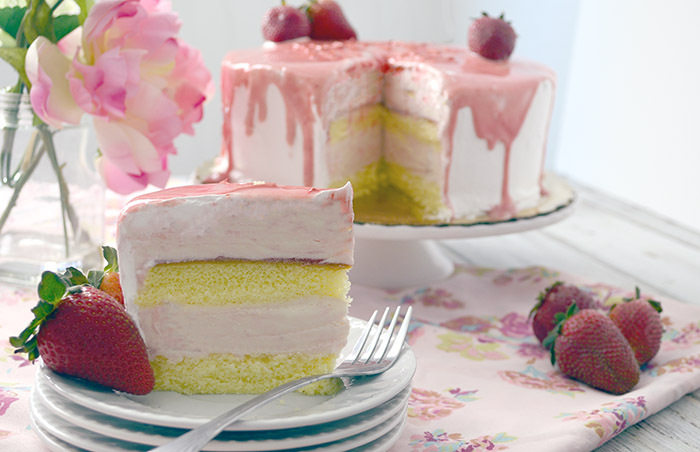 So if your having a huge Mother’s Day gathering you might want to go with the larger cake or depending on how many you need to serve 2 of these delicious cakes may be in order. 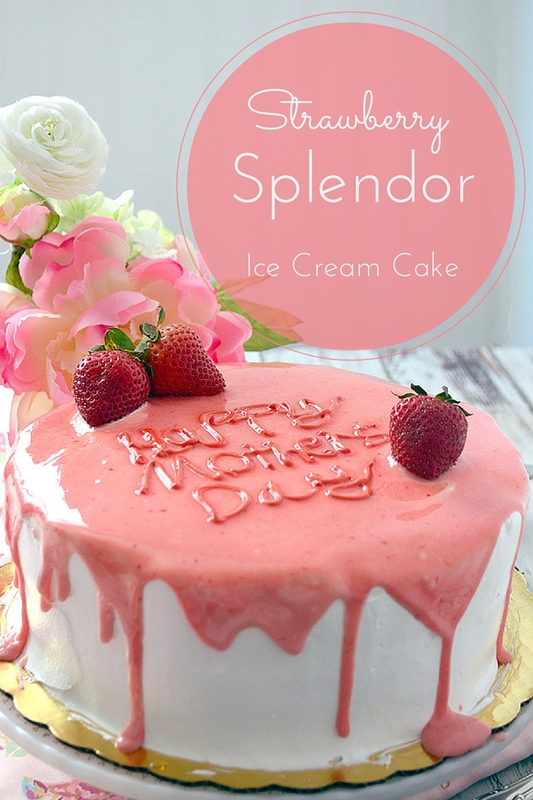 If you don’t have the time or if you just don’t want to spend all day making a dessert to share with your mother I highly recommend going this route! And hey all you guys out there don’t know what to do for your wife or your mom this cake will bring smiles to everyone and just think of the memories you will be making.